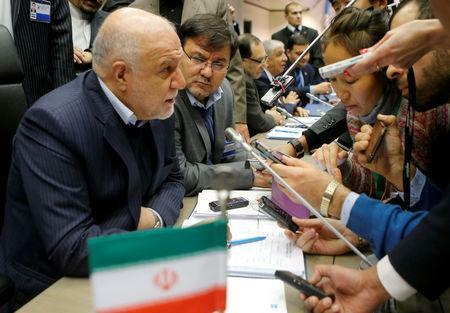 GENEVA (Reuters) - Iran has discovered oil in the southwestern Abadan region for the first time, Oil Minister Bijan Zanganeh was quoted as saying by the Mehr news agency on Wednesday. The oil was found at a depth of 3,570 metres in an exploratory well and is “very light and sweet”, Zanganeh reportedly said. "This is the first time we've reached oil in the Abadan region," the minister was quoted as saying. The United States withdrew from a nuclear deal with Iran last year and imposed sanctions to choke Iran’s oil and banking industries, while temporarily allowing eight customers to keep buying crude from the Islamic Republic. Iran can not be shut out of global energy markets because of its vast oil and gas reserves, President Hassan Rouhani said on Wednesday, according to the official presidency website. "With regard to oil issues, luckily we are pursuing various paths and roads for selling oil and we bypass American sanctions with pride," Rouhani said.